It’s been a solid half-century since the last industrial revolution arrived on a wave of digital innovation – transistors, microprocessors, computers – that has only gained power and speed over time. Today, the fourth industrial revolution is once again transforming your manufacturing business. 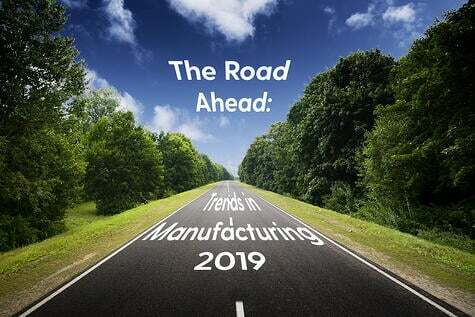 This time, the Industry 4.0 revolution is driven by new technologies – big data analytics, cloud, the IoT and others – that are creating a more connected, intelligent and fast manufacturing production environment. The pace and scale of change, and the decisions you have to make as a result, are as varied as they are important. Of all the decisions you face in choosing how to bring Industry 4.0 to your organization, one of the most important could be whether to implement your ERP solution (we’re assuming you plan to implement one, because you simply can’t survive in today’s manufacturing market without ERP as a foundation) as an on-premises instance, or in the cloud. There are a lot of aspects to the cloud vs. on-premises debate, but there are three ongoing trends that stand out as having a particularly big impact: mass personalization, reshoring, and mobility. Each of them makes the argument for cloud more compelling. Trend #1: The elevation of the manufacturing customer experience through personalization. This trend is being driven from both sides of the manufacturing customer relationship. Your customers have grown accustomed to a level of service made common by companies like Amazon. They know they can readily get whatever they want, they expect it will be delivered quickly, and at a cost they consider fair. Whether it’s products or content, consumers expect a personalized experience. And more and more people no longer distinguish between the consumer experience and what they expect, in a business setting, from their vendors. 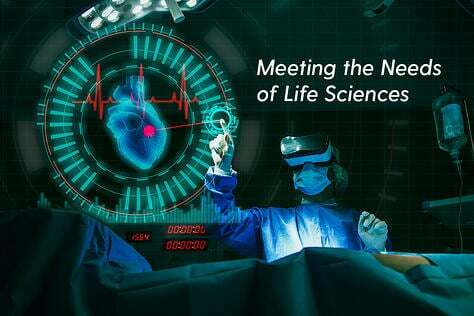 At the same time, advances in 3D printing, big data analytics, the IoT, and other technologies have given manufacturers the tools they need to deliver that experience. Why manufacturers like you are embracing personalization. To be candid, manufacturers like you don’t really have a choice anymore. The ability to deliver customized products, in a timely fashion, and at a price your customers are willing to pay, is a preference that is quickly becoming a requirement, especially as the market influence of millennials continues to grow. If you can’t satisfy the desire for a personalized experience, including customized products, you can bet you already have at least one competitor out there who is ready to make your customers happy. Companies are gearing up quickly to provide the experience customers want. 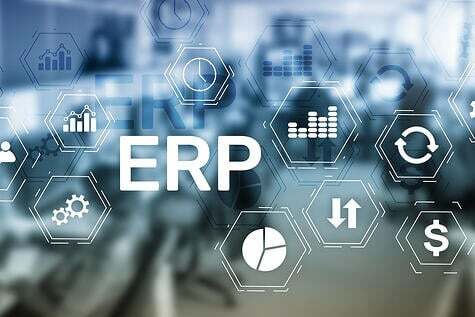 In the process, they’re often discovering that their existing ERP system is standing squarely in the way of achieving that important business goal. How personalization is changing manufacturing for the better. 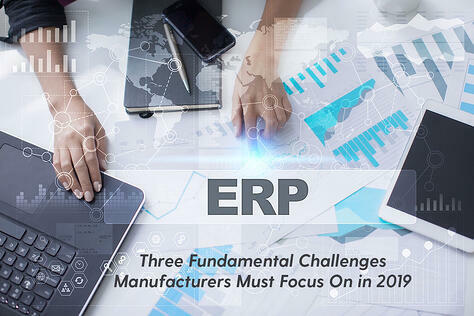 If you’re a small or mid-sized manufacturer, your ERP system is probably a mish-mash of poorly integrated applications – an assortment of CRM, business intelligence, supply chain management, accounting, HR, planning, and more critical business functions – that produce conflicting spreadsheets and confusion. That’s tolerable if you and your competitors are all producing to stock, planning for waste, competing on cost, and otherwise operating like a traditional 20th century manufacturer. You can live with the bottlenecks, the uncertainty, and the widespread inefficiencies of that model as long as it’s enough to satisfy your customers, and allow you to remain competitive. But it’s no longer enough. Today, customers demand personalization. And personalization demands a lot: speed and flexibility in your operations; the unfettered aggregation and flow of data across every customer touchpoint, every business process, and even through your supply chain; a workforce that is empowered with the knowledge to make decisions in real-time; responsive service, based on a single, complete, accurate view of each customer. The chances are good that when you consider your current ERP system, those aren’t characteristics you associate with it. It’s equally likely that you can’t imagine how you would begin to try and create that environment with your existing system. Why cloud ERP is better for implementing personalized manufacturing. One factor we did not discuss, and which won’t surprise you if you’ve ever bought software of any kind, is the vendors and what they are really offering you. 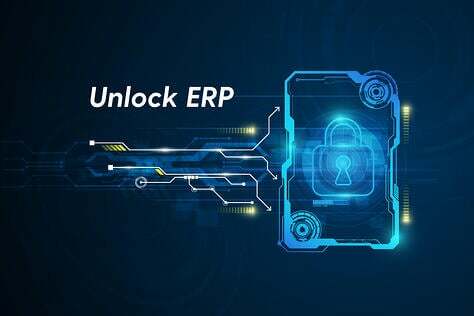 Some legacy ERP vendors have been slow to offer cloud-based solutions (Rootstock CEO Pat Garrehy has suggested it’s because they want “to preserve traditional revenue models and sunken investments in legacy ERP”), so it’s in their interest to promote on-premises or, as a compromise, a hybrid approach. 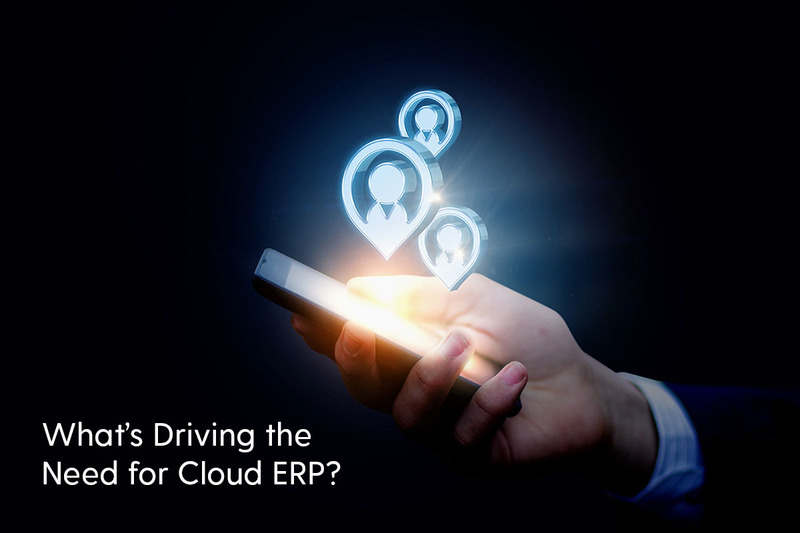 Still others offer “cloud-washed” versions of their on-premises ERP, but that usually only changes the location of your ERP, not its functionality. More flexible. 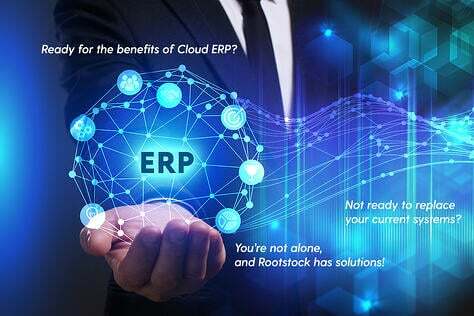 Rootstock Cloud ERP, for example, enables you to operate in multiple manufacturing modes, or even a hybrid of modes simultaneously, such as make to stock, configure to order, or engineer to order. It also lets you easily configure – and reconfigure – how you price, cost, make, stock, supply and service the products you make. Speed and flexibility are built in. 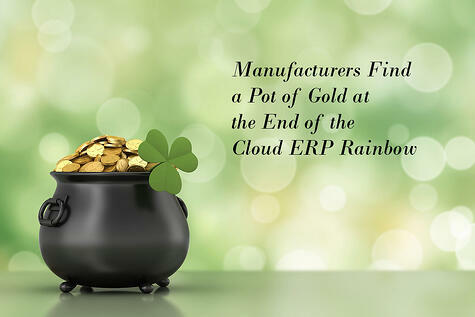 Legacy and cloud-washed ERP systems are much more rigid and complex. Built to be customized. If you’ve ever tried to extend, upgrade, or in any significant way change an ERP system that was not cloud-based, you know how tough it is to make the “new” system work the way you need it to. Even when you pay a small fortune in consultant or contractor fees, your results might not match your requirements. But cloud is a platform. When you move to cloud, you get the advantages of a digital platform. That’s why Rootstock is built on the Salesforce Platform. Anyone using our ERP solution can browse through thousands of applications on the Salesforce AppExchange and know that every one of them will integrate seamlessly, making it easy to customize your ERP solution and know it will work. Capabilities can be added or removed as your needs evolve. Upgrades are delivered automatically from the platform, “like free gifts,” we’ve heard one manufacturer say. Speed and flexibility are table stakes in the game to capture your share of the personalized manufacturing market. Cloud-native ERP gives you those capabilities. Cloud-washed and legacy ERP don’t. Trend #2: The consequences of opportunity: how reshoring impacts you, even if you’re not reshoring. Whether or not you sent a single job offshore, you may think the reshoring trend is not particularly relevant to you. But reshoring has returned hundreds of thousands of jobs to the U.S. and will matter to any manufacturer who has to compete for skilled labor. And if you’re hiring, you’ll be competing: according to a Deloitte report, an estimated 3.5 million jobs will need to be filled by 2025. Most of these jobs, if not all of them, will be filled by a new generation of workers. These are the digital natives you need, people who have grown up living with devices. Without really even thinking about it, they have acquired the technological skills you need to remake your manufacturing to Industry 4.0 standards. But they’re not going to want to bring their 21st century skills to work with your 20th century ERP. Cloud enables the work environment that will attract your next cohort of employees. Here’s why companies are interested in reshoring. Although labor and other costs are still lower in Asia and other offshore markets than in the U.S., the difference isn’t the yawning chasm it used to be. As that benefit has lessened, and issues with quality, intellectual property security, and long supply chains have persisted, the calculus has changed. Some manufacturers have found it makes more sense economically to bring production back home. At the same time, current U.S. administration actions and policies toward corporate taxation and regulation have reduced the resistance toward reshoring. Some manufacturers we have spoken with also mention global volatility – political and cultural, as well as economic – as factoring into their thinking on the subject. And being able to say “we’re bringing jobs back to America” is going to have a positive effect on any brand. Whether or not reshoring will continue at its current pace, drop off, or increase is anyone’s guess, but it would be prudent to factor it into your hiring strategy. As new opportunities bring production back, the inadequacies of old ERP systems are exposed. Manufacturing jobs may be coming back, but they aren’t the same jobs that left. As companies reshore their operations, they are looking to be as efficient and fast and flexible as possible. As we’ve discussed previously, those are not qualities of legacy ERP. For reshoring to work, manufacturers are realizing they need to implement cloud-based ERP. And if you’re going to compete successfully for the precious resource of skilled labor, you need to make the move to cloud ERP, too. Trend #3: Unleashing the true power of your workforce with mobility. Recently, during a conversation with Rootstock, one of our customers nicely summarized the quandary many manufacturers face as they try to embrace modern ERP, and digital transformation more broadly. Now, this CEO is talking about his older, more traditional manufacturing workers. But he could just as easily be talking about younger, digitally-savvy millennials who are rapidly entering the workforce. The smartphones they rely on to run their lives are more powerful and capable than any desktop computer you were using 10 years ago. If you can connect those devices to your ERP solution, and make it available to anyone with a smartphone, you’ll see performance improvements you can only imagine. But on-premise ERP systems were never meant to support a mobile workforce. Functionality and data are centralized, and closed off from the majority of your people. Cloud native applications, on the other hand, are usually built with the assumption that users will be accessing it via their smartphones, not a desktop computer or some terminal on your shop floor. Mobility is built in. With cloud-based ERP, communication and action among your customer service people, your production staff, your suppliers, your executives…anyone who contributes to making your operation go…is facilitated. Data-driven decisions can be made by anyone, anywhere. Delays are minimized, questions are answered more quickly, efficiency rises. And remember, the next generation of workers wants to use their smartphones to get things done at work. If you want to attract them, mobility is a requirement. 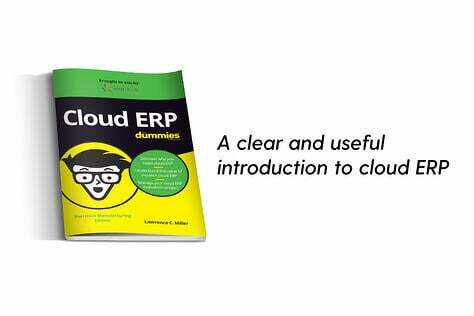 And it comes standard with cloud ERP.